Baby Serenity decided to make her arrival about 4 weeks ahead of time, catching her parents, Brianne and Jason Glazier off guard. The couple were in the middle of moving from Kansas to Illinois, and her father had gone ahead a couple weeks before to get things set up at their new apartment to get ready for her arrival. Brianne never made it there. She went into labor early, and Serenity was born in a Kansas hospital on September 15, 2016. Jason rushed back to Kansas for what should have been a happy occasion, but it has turned into a nightmare for the new family. Now, the couple are fighting Child Protective Services in a third state - Missouri - to try to bring their baby home. Their newborn daughter was born with a heart defect, called Tetralogy of Fallot, as well as other birth defects. 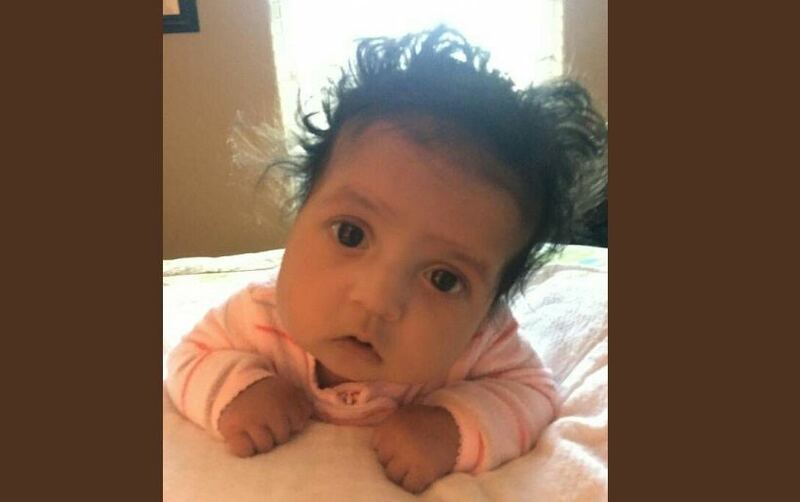 The hospital she was born in transferred her to another Kansas hospital, which immediately transferred her to Children's Mercy Hospital in Kansas City, Missouri. The frightened parents found themselves in a strange city, in a state where they had no connections, and they were faced with doctors and staff who they say were not telling them what was going on with their baby. They told the staff that they wanted to transfer their baby to Illinois and arrange for her care in hospitals near their home. Jason tells Health Impact News that is when the problems with the hospital began. CPS in Missouri is evil and corrupt. Missouri is one of the hardest states to get your child back. I have been dealing with them for almost a year now, only because people keep calling the hot line over and over again about the same exact thing every time and my case is closed every time but yet they are still taking calls against me from the same people who have bragged on social media about calling in on me for no reason. I have a lawyer now because at this point I have done all they have asked of me so it's harassment as of now. My lawyer said only 2% of cases are actually legitimate. CPS, KCPD and Jackson County Sheriff are all bullies and pretty much thrive on parents not knowing their rights. These parents are acting like any other parents that are not being heard when it comes to their child's health. Especially the dad he's the man of the house per say so he wants to be the one to get stuff done for his baby girl and wife. I think CPS is playing too much into his mental health, that's their escape goat. And if CMH felt they were abusing the baby all the rooms are equipped with camera's for this exact reason so why aren't they being used instead of taking these parents child. I am from KCMO so that's how I know about the camera's in the rooms. I really wish these parents and their baby girl the best of luck through this difficult time. "In The Best Interest Of The Child, At The Time"
Those are the magic words used by hospitals, social workers, Dept. of children and families, judges, psych., etc., in order to justify (legally) to do what they do to innocent, vulnerable children and families against both the family/parents and child's will/consent. A sick child with a rare disease or condition who is in the care of a children's /teaching hospital is especially vulnerable as they are exactly the cases that medical researchers and doctors wanting more expertise (and big research grant money) in areas that would draw more cases for them are looking for. In my 14 year old daughter's case, she had a very rare form of cancer not seen in children but barely 20 times over 25 years and no protocol to treat. We were lucky to have had an actual honest, caring and ethical/moral cancer specialist who did develop a treatment for her that was working as he put it, "Phenomenally well." However, within just hours after a 4th round of chemo and just 17 days before her stem cell transplant, a woman we had never seen before and had nothing to do with my daughter or her medical case came to her room and demanded I sign consent to start my daughter on two psych drugs, and then we could go home as scheduled. After my questioning and demanding to first speak with the medical team she threatened that if I did not sign consent she will go to a judge and get it done that way. Long story short, she contacted DCF in our home state (we were at Mayo in Rochester, MN - St Mary's Hospital) and told them I was refusing critical medical and psychiatric care for my daughter, which then launched an investigation, the kidnapping of my daughter to the LOCKED psych ward, my removal and all contact between my daughter and I and her family and friends forbidden. I found out later, after she died 2 1/2 months later in another hospital in another state and much "experimentation" after taking her off of her protocol her cancer team at Mayo had placed her on with successful results, that the woman who wanted my consent to start her on psych drugs was actually a Resident in the psychiatry program there and not a licensed child psychiatrist as she had stated to everyone and even wrote on letter to DCF and the judge over this case. She lied on my daughter's medical records, even naming a hospital social worker was in agreement with her, this social worker who put in writing that she never said what this Resident claimed in the medical records and did NOT agree with her. But no one would listen (judge, DCF, guardian ad lidem). I also found through my own research that the "research paper" this Resident was working on at the time she did this to my poor daughter. She was researching the use of anti depressants to "cure" eating disorders in teenage girls. My daughter was a perfect guinea pig to falsify Resident's paper/research and research grant money. Daughter was underweight (from chemo) and a teenage girl - and readily available. I also found the hospital protocol on their website under "Protocol For Wards Of State, Minors) which stated in black and white that they are then able to do whatever treatment, surgery (even experimental), medication and dose they want to. All without any consent or even the knowledge of the parent(s). This Resident has since graduated and now holds a position teaching and practicing child psychiatry at the university of Utah and has included her "research" on her bio on the web page. Also - read everything that is on the consent forms you sign when child is being admitted into hospital and to start any treatment, drug, whatever. It will say right on there that (basically) you are consenting to give that hospital or doctor authority to do what they want. Attorneys that I have spoke with have told me that those magic words in documentation of what was done to my poor dear dead child are what will absolutely get all of the monsters involved off scott free. They do not believe the case is winnable. "DCF and psych doctor actions believed to be In The Best Interest Of The Child, At The Time" Even though daughter's cancer doctor and head of her medical team and the children's cancer ward social worker have all stated and even put in writing to me that they WANT to testify on my and daughter's behalf that records were falsified and medical team was denied access to daughter and a multitude of other illegal and against hospital protocol was done, these attorneys still claim this case would be unwinnable simply because of those magic words. Are there any attorneys out there with full understanding of the United States Constitution? And with a backbone? Dear grieving mom, what happened to your daughter is egregious and heart-breaking. I am so sorry for your loss and grief. Maybe these parents, particularly the Father, might get some help from the ACLU as they have helped others who have been discrimminated against or lost their kids which they helped that one young single Mom who got her baby taken away and they were about to adopt it out...their sole reason was the mother had learning disabilities which was just a little slower but not uncapable of caring for her baby. This father can fight them with the ACLU if they were to take his case as it appears they used that as an excuse and didn't get police involved or even set up a case plan for the return of the baby. They purposely drag it out past the time where they can legally adopt them out, in most states it's about 15 months. Maybe there are some attorney's in Missouri that can help, but please look into the ACLU. I hope these people can be stopped. They are a civil court and not a real court, there is no justice in there and parents are railroaded, it's backwards, and alot of children's hospitals are guilty of holding onto patients and use cps for this so they don't get sued for medical malpractice when parents want a second opinion or feel their child is not getting good treatment, this is what they do. It is parent's duty to get a second opinion and good doctors are not afriad of it. plus once they are in the state care, the Dr.s and state have another chunk of money coming when they adopt this child out under the Title IV-e subsidies as a special needs child, and that is their milk and honey. They need to take the whole system and trash it, and if there is abuse or neglect, then it can go to a real court where evidence is needed and not preponderance of evidence. Where you are innocent till proven guilty, and the criminals are removed and not the kids...they are suppose to put them with family, but they don't get as much money for kinship care as foster care. They like to put babies with pre-adoptive foster parents so as soon as they have dragged it out then they start the termination and adoption subsidies. The hospitals need to stop this too, because they are just as bad as the cps, all in their little world of takiing kids to avoid lawsuitsx and the money they want to make and no parents objecting to their procedures. WE all know how shady they are. If it is a for profit hospital, I would never take a child there. This country was founded upon the belief that, we the sovereigns, have the inalienable right to defend our rights, even if it takes lethal force. When will the American people wake up and stand up to these CPS criminals and kidnappers, This is not a local problem but a national one, CPS does what it wants saying," In the best interest of the child " that is a blatant LIE, all they are interested in is the monies from the state and fed, CPS has been told time and time again not to use this in court but they continue to do it as no one will hold them accountable for their criminal actions. CPS is a civil agency out of control, Drunk with power that by law they do not have, That is why they always have either the local or state police with them so that they can use them to kidnap our children, You read stories like this in many places now and I hope it's just a matter of time until these criminals are brought under control.